The boys over at 101 Films have been given a tricky case to crack – how to discuss a film’s plot without ruining it for those who haven’t seen it. Lewis and Ian do their best as they talk about the stupendous Chinatown. Listen as they witter on about Big Trouble in Little China, Command and Conquer Red Alert 3, the amazing Jack Nicholson, the many Los Angeles Infrastructure films, Batman a few times (of course) and our Mum’s favourite films. Apologies in advance, we sort of lose focus towards the end of this one. WARNING – This is the original trailer but it’s spoilerific! The boys over at 101 Films have been given a tricky case to crack – how to discuss a film’s plot without ruining it for those who haven’t seen it. 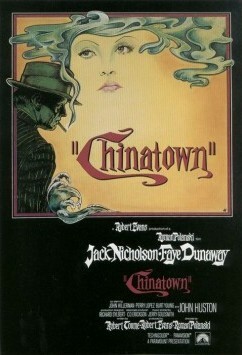 Lewis and Ian do their best as they talk about the stupendous Chinatown.